Spanish police have found 57 pieces of artificial fruit containing seven kilograms of cocaine mixed among real bananas, with another 10 kilos packed in cardboard boxes. The video obtained by Ruptly video agency shows how officers smash the bananas open using screwdrivers and hammers. One banana is cracked open to reveal the white powder “filling” it. 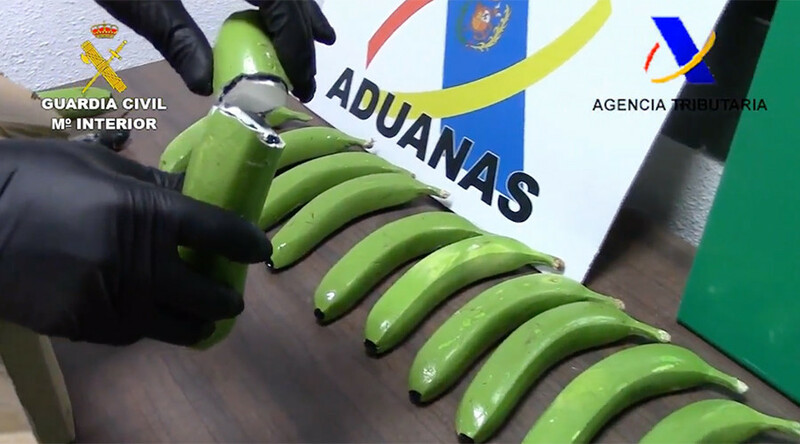 The fake bananas were found during an operation in the coastal cities of Malaga and Valencia on Sunday. The footage of the haul was shot in Valencia, the Ruptly news agency said. Two people were detained on charges of drug trafficking, and a third person is now under investigation as a result of the operation, according to the police.